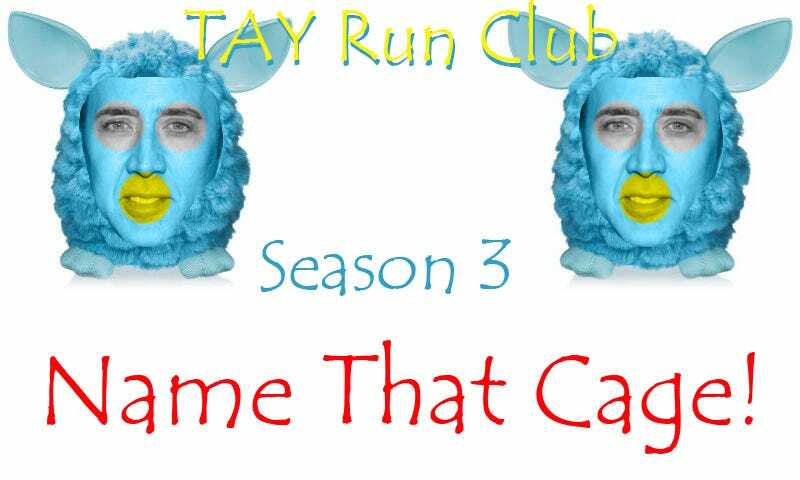 TAY Run Club Season 3: Go! Get in there. Seriously. It’s going to be a lot easier to keep track of what’s going on via the announcement channel than via TAY posts. 1. To ping someone type @ and then begin typing their name. This will send a push notification to their phone if they have the phone app installed or to their desktop if they have the desktop app installed (highly recommended). You can also direct message someone by clicking their name and then clicking message. 2. Check the #runclubannouncements channel for any run club related news. New information in a channel is denoted by a grey semicircle to the left of the channel name. 3. Register your name and you shouldn’t need to keep clicking the link to join the discord server. It takes approximately 15 seconds to do so it is worth it. Not necessary if you’re worried about having too many accounts. You can change your icon by clicking the gear at the bottom left by your name. 4. /giphy SEARCH query will let you post gifs. The end. GOAL: After 10 weeks be the team that has the largest collection of Nicholas Cage pictures. You gain Nicholas Cage pictures by uncovering them. Each Nicholas Cage picture is covered by a grid of black color blocks. To remove one block, you must have points equal to the coordinates of that block. Once a picture is uncovered you will receive another, more difficult picture. To start everyone has a 1 x 1 grid (ie. one block). This is picture 0. It is meant to just get you thinking about how to play the game. After round 0 is a 2 x 2 grid, and then a 3 x 2, and then a 3 x 3. After the 3 x 3 grid, power ups will be active. Power ups will be added in a week or so (or whenever I get the gumption). The announcement about power ups will be given via Discord, and in fact, most announcements will be given out via the #runclubannouncements channel. Check it from time to time. Points that are OVER the amount needed can be used as any value, however this will incur a penalty after round 3. For every 2 points over the intended coordinate 1 Spirit Point will be lost. This is, as they say in the business, a handicap so that you marathoners don’t wreck the slowpokes among us :D. As always it’s on your honor so if you want to cheat I can’t stop you. Just remember that this is a for fun game and you get no prize for winning. I haven’t had a problem with cheating except for Season 1 when Neryl and TUT decided to break my game :P.
Spirit Points are needed to for buying power ups. They will come into play after Round 3 and I will put power up costs and per round SP amounts in the spreadsheet on the last page. 1 team member is X, 1 teammember is Y for each coordinate. This means that one person cannot carry the team completely. You must work together. You can be X on one coordinate and Y on the other, that doesn’t matter, but for each unlocked coordinate a y and x must come from different people. When a picture is unlocked it will be placed on your excel sheet for all to see!